Time takes on a different meaning in Spain. Leave your watch and your cares behind and immerse yourself completely in this charming country and its islands. There’s a fiesta somewhere in Spain every month of the year and siestas take place every day. This combination of celebrations and snoozing means that Spain uniquely embraces frivolity and serenity - find out more with DisabledHolidays.com! And whether you want to experience a culture and atmosphere that is laid back or carnival-like, you’re also spoilt when it comes to selecting a Spanish destination. From modern bustling cities to rural towns, mountains to beach side resorts, the varied Spanish terrain caters for everyone. One factor that remains fairly constant throughout Spain, however, is the climate. 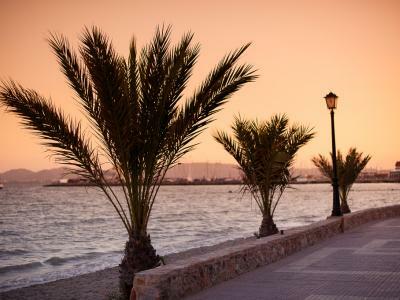 Mild in winter, sizzling in summer, it’s easy to see why Spain remains not just a popular holiday destination, but a retirement one as well. Spain is also well known for flamboyant customs such as flamenco dancing, bull fighting and other traditions, fabulous cuisine consisting of paella, tapas and seafood and fantastic choice of holiday accommodation, from self catering villas to extremely accessible hotels. We can also arrange everything else you may need too such as travel insurance, assistance at airports and the hiring of specialist equipment. So whether you want to visit the Straits of Gibraltar in the south to the medieval town of Oviedo in the north, the only thing you’ll need to remember after having a great time in Spain is the date you’re due to come home! What's available with our disabled holidays in Spain? The resort places an emphasis on health, offering programmes, treatments and professional healthcare exclusively to guests over 55 and their families. 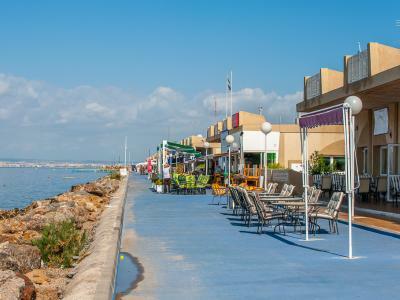 This four-star accessible hotel is ideally situated in the tourist centre of Salou, just 300 meters from the beach. A Canarian architecture design allows this hotel to stand out, designed so that guests enjoy a relaxing stay. Located in Mogan's Playa de Mogan Puerto Rico neighborhood, close to Playa de Mogan Harbour. Additional area points of interest include Amadores Beach. Located near the beach in Mogan's Playa de Mogan Puerto Rico neighborhood and close to Playa de Mogan Harbour. Located in San Miguel de Abona, Vincci Tenerife Golf is close to Golf del Sur and La Tejita Beach. 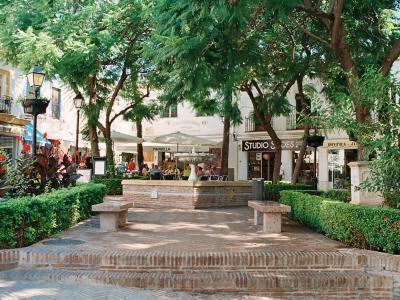 This 4-star hotel is within the vicinity of El Medano and Golf Los Palos. This 3-star hotel has direct access to the seafront promenade and an accesible beach. The hotel is situated in a quiet and relaxed setting making you feel welcome. A privileged location, on a platform-like enclave looking out over the Mediterranean Sea in the picturesque village of Altea.